History of the Incas – the rise and fall of a mighty empire which left behind some of South America’s most important historic highlights. 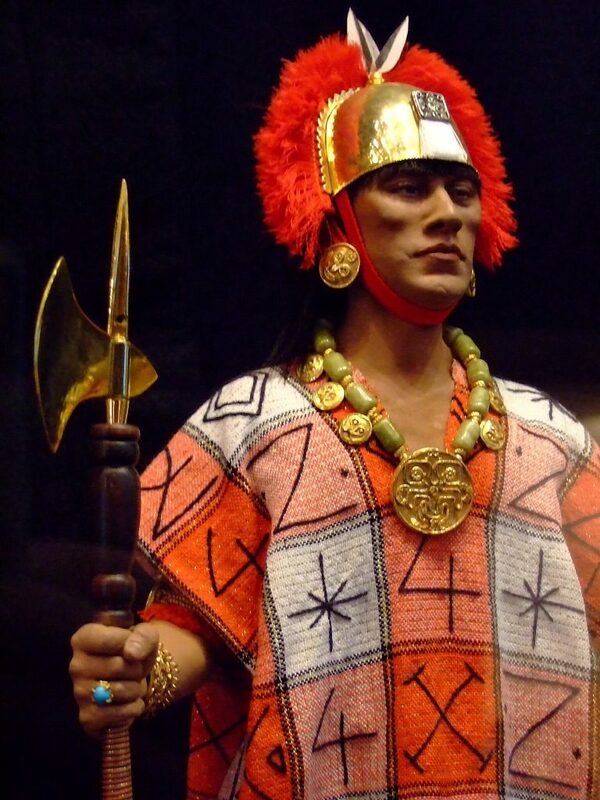 A reconstruction of Inca ruler Atahualpa made by G.S.Stuart. (Ojai Valley Museum, California). Photo Credit: This image was first published on Flickr. Original image by Mary Marrsch (taken at the Ojai Valley Museum). 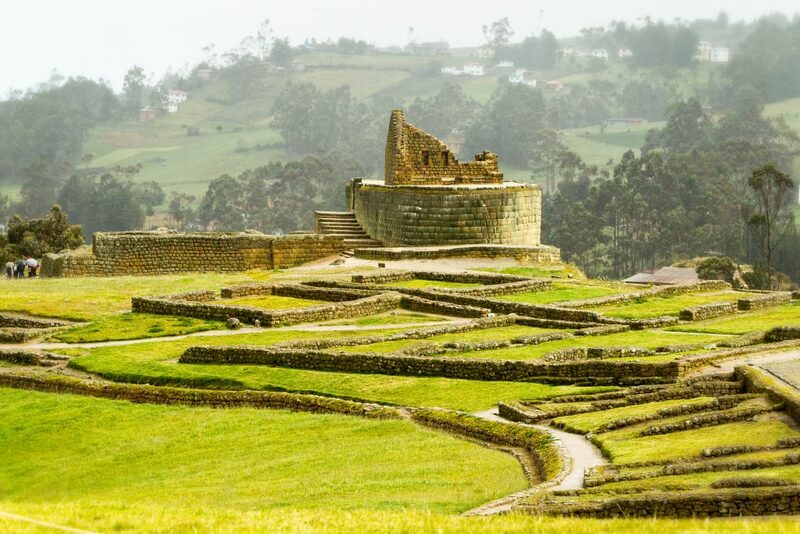 The Incas were South America’s largest and most powerful ancient empire. They rose to prominence in the 12th century CE and remained in power for over four centuries. Through their formidable military prowess, they ruled over a kingdom which stretched from the northern tip of present-day Ecuador through to central Chile, just past the capital, Santiago. At its peak, the Inca Empire comprised 12 million people hailing from more than 100 different ethnic groups. Throughout the centuries, they managed to create a relatively cohesive state, thanks mostly to a centralised language, government and spiritual/religious belief system. The two most astonishing aspects of the Incas are that they managed to become one of the ancient world’s most powerful empire without the use of the wheel, cast iron, or any form of writing, and that, ultimately, they were shown to be utterly defenceless against the Spanish conquistadores. The last flickering remnant of the Inca Empire was extinguished in the late 1500s. Legend has it that the Incas were created by Inti, the sun god, but historians prefer the version which states the Incas started off as a small and unassuming tribe who lived in current-day Cusco, in the high Peruvian Andes. They lived in relative anonymity and conservative size through their first three kings’ reign. Expansion didn’t really initiate until Mayta Capac, the 4th Emperor, took over and was bolstered during Emperor Viracocha Inca’s ruling, in the 1400s. His partnership with two influential uncles helped form the first Inca military assemblage of any real substance. 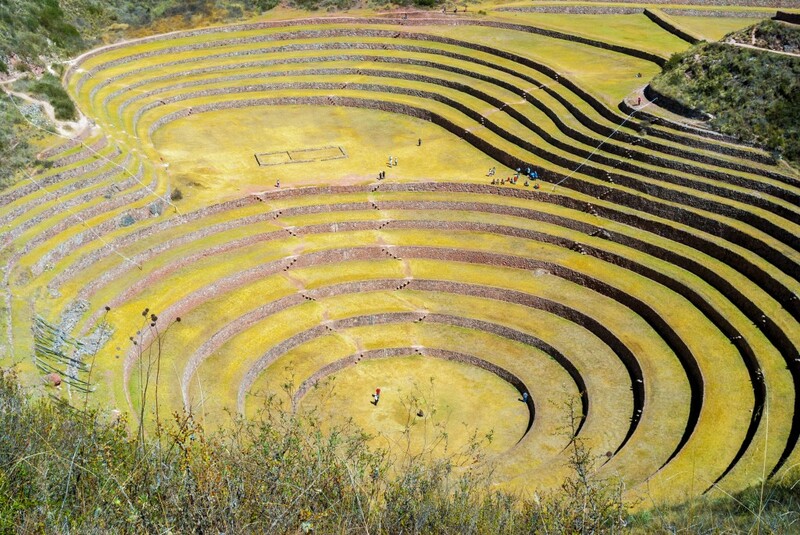 The Incas successfully challenged and defeated the Ayarmaca people, in a region now known as the Sacred Valley of the Incas, found just north of Cusco. It was during this time that the Incas developed the practice of challenging, conquering and expanding, and leaving behind a military base from which to defend borders and uphold peace within their now-mixed populace. One of the famous ethnic groups which the Incas conquered were the Aymara people, which are now Lake Titicaca’s most beloved locals. Many still live on the lake’s islands as they have done for hundreds of years. 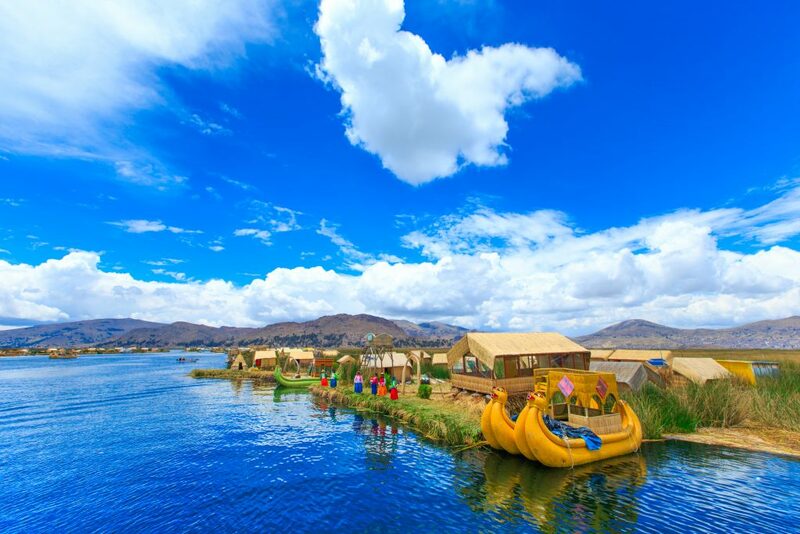 Reed boats on Lake Titicaca, Peru. Photo credit: Copyright: Pakhnyushchy, Shutterstock. In the northernmost reaches of the Inca Empire, fell the Chimus and Cajamarcas. During the history of the Incas, it is renowned that crime rate was minimal, however this had much to do with the iron wrist with which they were ruled over their subjects, rather than their subjects’ collective contentment at acculturation. The central Inca government went to much effort to quell the numerous uprisings which were undertaken by the many quarrelling ethnic groups, and took to forced resettlement to avoid the forming of major rebelling groups. The Aymara were among the most rebellious, and by the time the Spaniards arrived they formed the greatest portion of the Inca Empire. Inca expansion grew exponentially with each new emperor due primarily to a law which stated that each new ruler could not inherit the wealth and lands of his predecessor. If they wished to be wealthy, they needed to conquer new lands and it is with this credo that the empire expanded its rule over much of western South America. Ingaprica Ruins in Ecuador. Photo credit: Ammit Jack, Shutterstock. 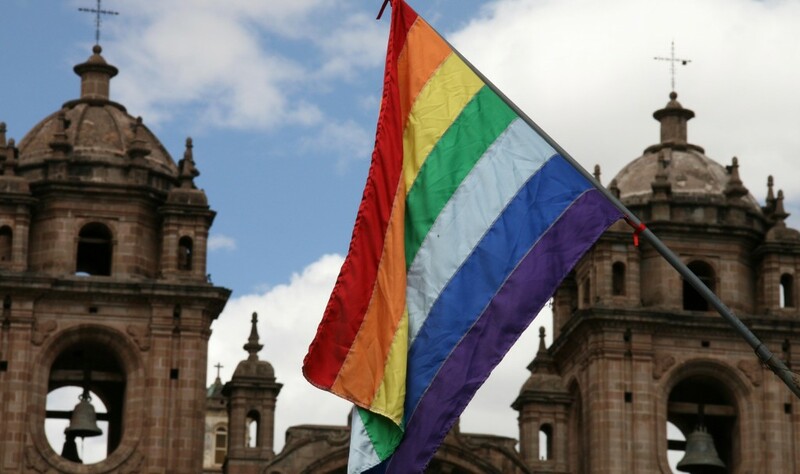 The history of the Incas highlights their forward-thinking attributes, not only in governance and self-rule, but also their collective achievements. They invented aqueducts and terraced farming, surmising that slightly different elevation levels could yield better crops for varying foods. They stored supplies and freeze-dried food for times of drought. They worked gold and silver and weaved immensely colourful cloths. They were remarkable artists and musicians, as well as astute mathematicians, inventing an ancient tool for account keeping which used coloured strings and knots. The quipu was also used to record historical events. The Incas adapted Quechua as their primary language, one which was spread throughout the kingdom, and built a complex system of roads which totalled more than 24,000km. Teams of relay runners were used to transport goods and messages to and from every corner of the empire, at an astonishing rate of over 240km a day. 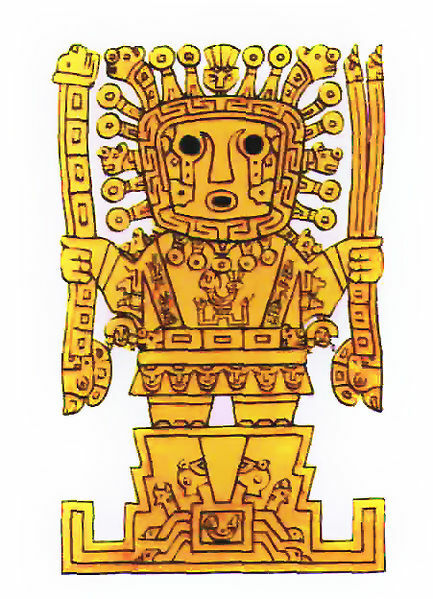 The Inca polytheistic religion was centred on Inti, the sun god, and included the god of rain (Apu Illapu) as well as Viracocha, the god of all creations. The Incas built shrines and temples, where all-powerful priests initiated ritual animal and human sacrifices to appease the gods and ensure good crops and victory in battles. Many historians now believe the Incas were not as militarily obsessed as first thought. They appeared to have been masters of diplomacy who used force to conquer neighbours only as a last resort. They formed alliances instead, by way of marriage and gift exchanges, and used their powers of persuasion to gain allies which they slowly, and methodically, brought under their rule. 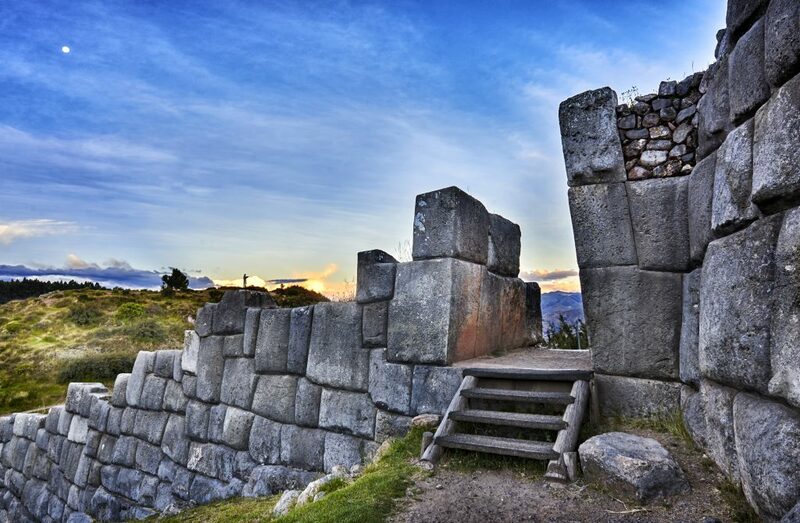 The arrival of European invaders marked the beginning of the end of the Inca Empire. However, many historians believe it simply acted as a catalyst for internal struggles which were already present. Smallpox, the most deadly weapon the Spaniards carried, wiped out a huge portion of the Inca population, as well as the current emperor (Huayna Capac) and his chosen successor. Amidst the internal skirmish for power, the Incas were no match for European weaponry, and the mighty Inca Empire literally unravelled as if made of fragile strings. The Spaniards sacked Cusco, the formidable capital, and took over power with very little resistance. The last remaining crumbs of the Inca kingdom retreated to Vilcabamba (in southern Ecuador) where they were finally conquered and defeated in 1572. Cathedral in Cusco, Peru. Photo credit: Shutterstock. The discovery of Machu Picchu helped the nearly-forgotten Incas gain international recognition. Due to the fact they had no major writing system, legends and stories were passed on by professional orators and much of their history has been collated with what was discovered in ancient citadels and temples. Much of what we know originates from reports the Spanish invaders sent home. They reported on grandiose cities, more beautiful and better organized than any in Europe, and impressive systems of roads and aqueducts the likes of which they had never encountered. Thanks to new discoveries, the history of the Incas is still very much an ongoing puzzle, one which the whole world is waiting to complete. From the icy south to the desert north, from the rugged Pacific coastline to the highest peaks of the Andes, Chimu Adventures offers a myriad of opportunities to enjoy the country's unique geography and culture.